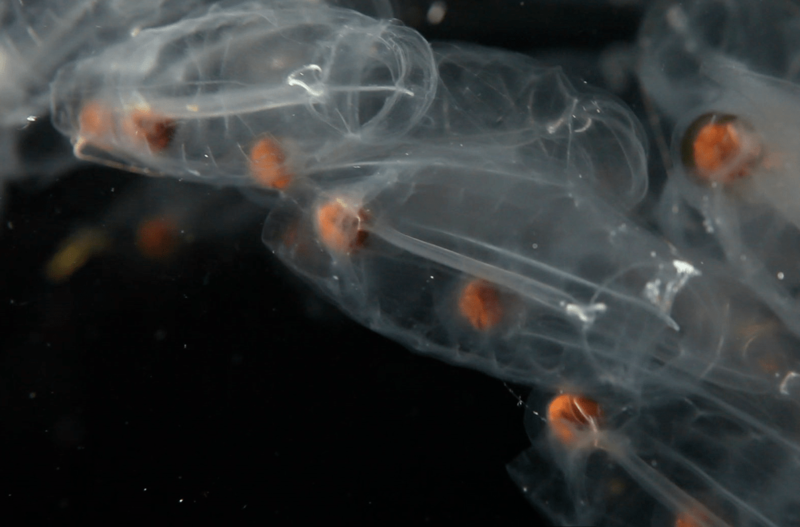 Close ancestors of vertebrates, salps gobble up algae and grow into long chains of clones. 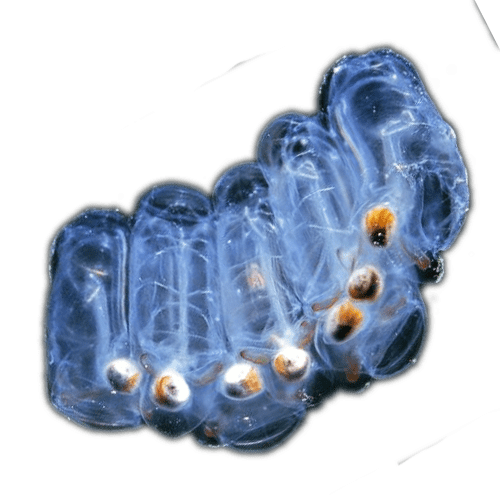 Salps are barrel-shaped, free-swimming tunicates – organisms enclosed in a tunic, with openings at each end – that pump water through their gelatinous bodies. 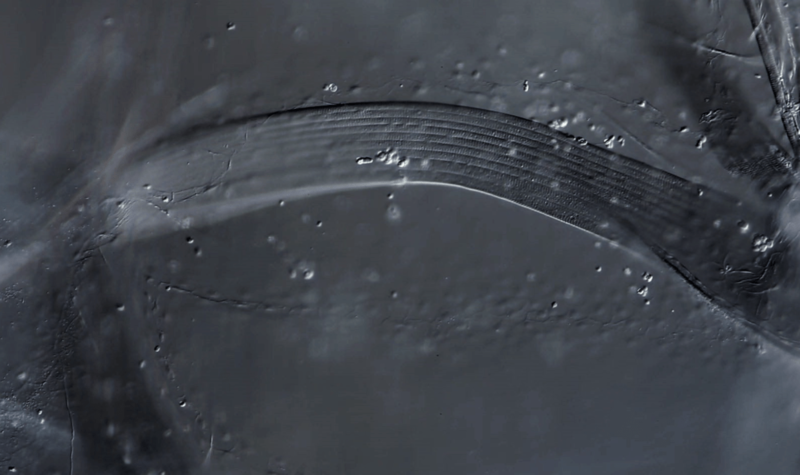 Thus, they move and feed at the same time, straining the water through internal feeding filters. 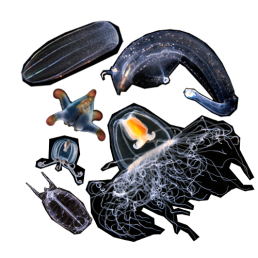 At first glance, salps may look as primitive as jellyfish, but they are close marine ancestors of fish and vertebrates. 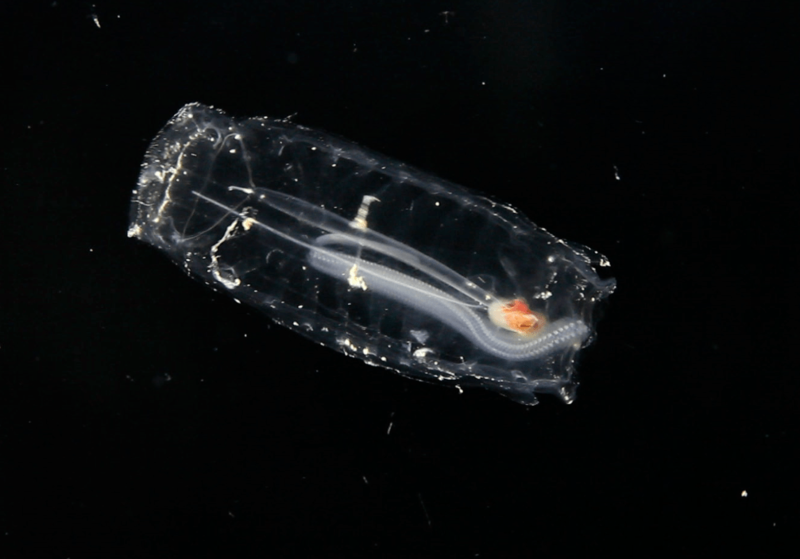 Salps have a heart, gills, and even arudimentary placenta. 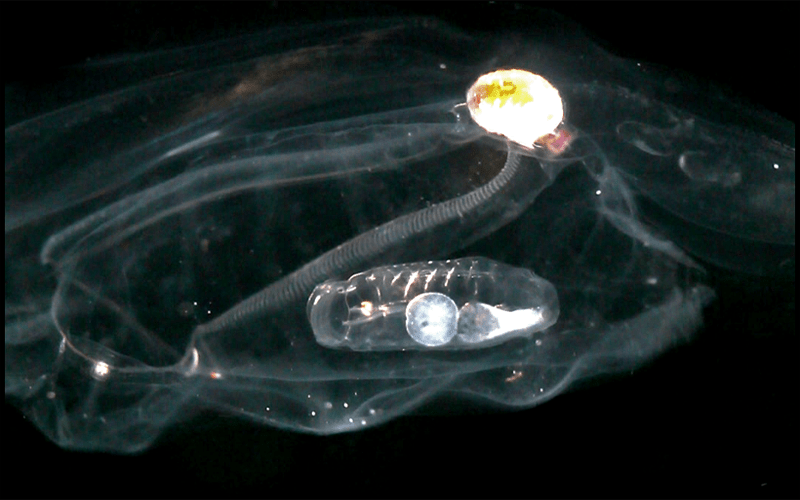 Salps can live alone or in communities. 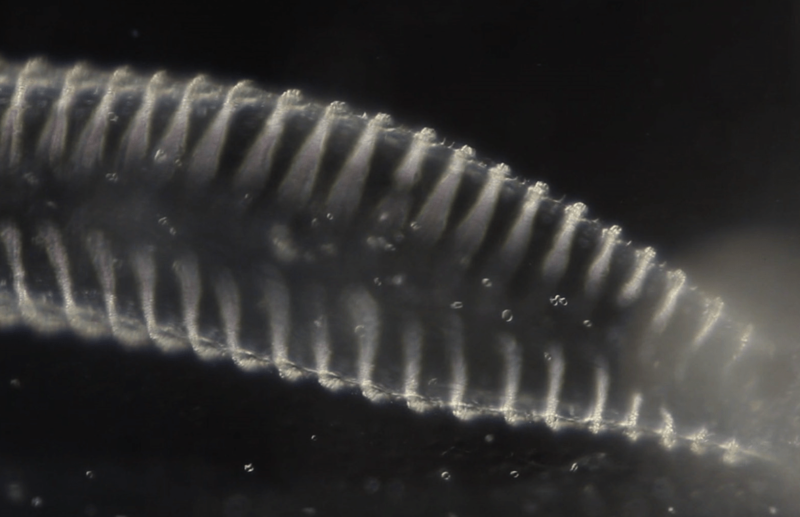 Some species are only a few millimeters long, while others can grow as large as 10 inches. 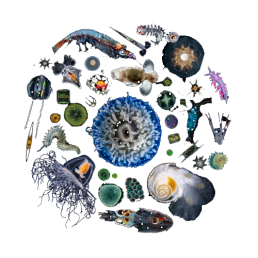 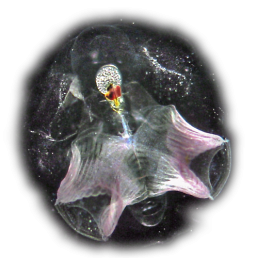 When microscopic algae proliferate, salps devour them with extraordinary efficiency. 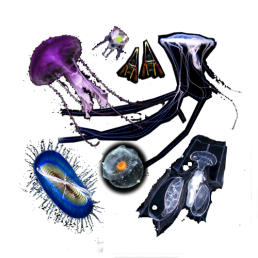 They are the fastest-growing multi-cellular animals and are capable of explosive, asexual reproduction, cloning themselves and creating chains of dozens of individuals. 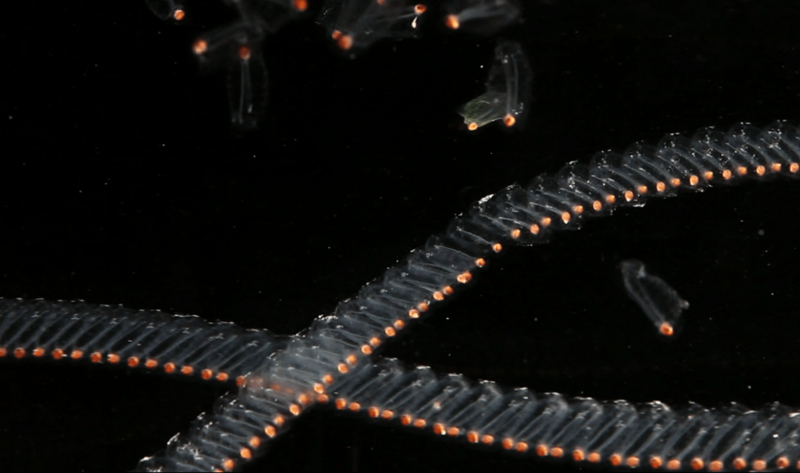 Chained salps grow into long strings that live in social harmony. 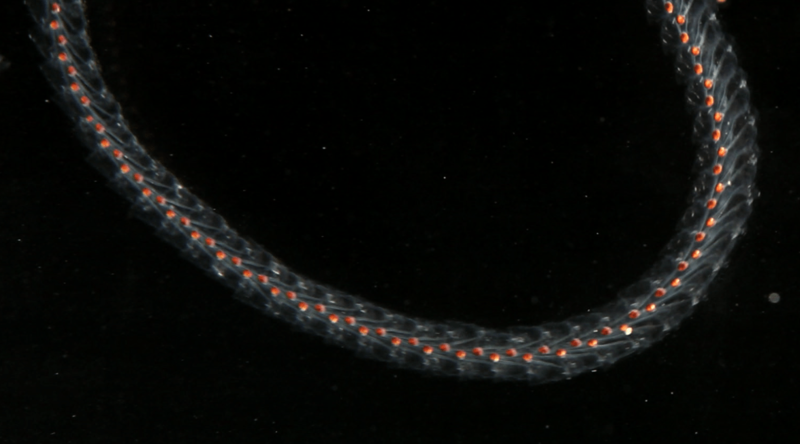 Communicating via electrical signals, they synchronize their swimming and move swiftly through sea currents.